We are the leading manufacturer and exporter of Round Ring, Tager & Lid (RTL Loose Bottom) Tin Container suitable for Tea & Coffee Powder & Baby Foods. 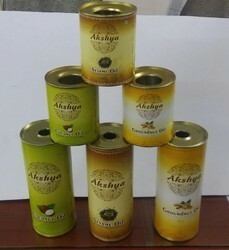 Made of prime tinplate material.Used for storing/packing balm. An extensive range of Cans For Biscuits And Cookies are offered by us. These are fabricated using latest technologies with best grade tin. These are used for both industrial as well domestic purposes. They are suitable for the packaging and preserving the contents. They do not modify or change the contents. In a competitive industry like packaging, where one competes not only within the industry but also, an alternate packaging method, innovation becomes the key-deciding quotient for survival. Hence, BCPL took a step forward with some sizes and shapes that appealed not only to India, but abroad as well. We offer a vast range of Tin Cans/Containers for Candles that are available in square, round, rectangular shapes and different sizes. Our tin cans are printed with charming patterns, that enhance their look to a large extent. These cans are offered at cost effective prices and can also be customized in desired size and lengths as provided by the clients. 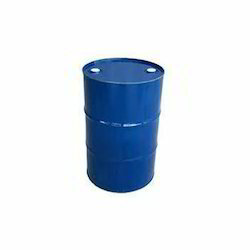 Just for our valued clients, we manufacture and supply quality Tin Containers, that are extensively used for a number of purposes such as for filling paints and thinners.